Happy New Year to you all ! I hope you all had a great night and I am wishing you all the best for 2011. 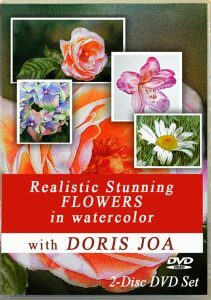 I want to thank you all for support in 2010, for buying my paintings, prints and my e-book and of course for reading my blog. 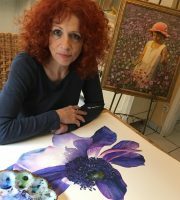 Your interest in my artwork means a lot to me. Thank you, thank you! 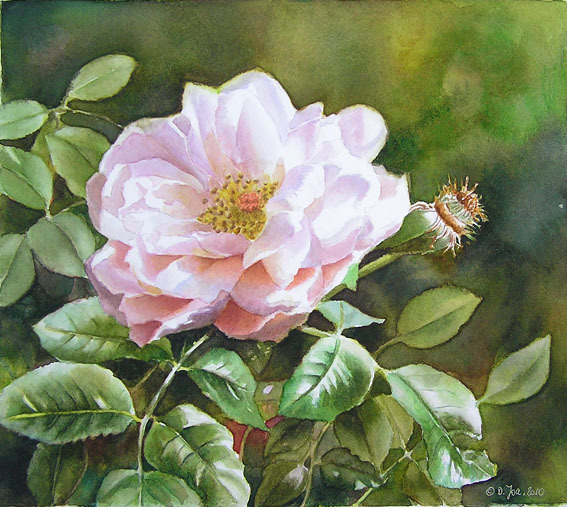 I am starting the New Year with a new rose painting in watercolor. It is a portrait of the Lions Rose, which grows in my own garden. 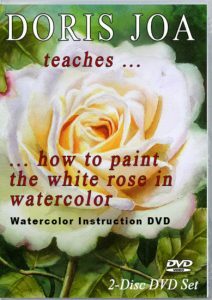 This rose is mostly white with a soft pink touch. I wanted to do the background differently this time – not always ending in too much darks. I also wanted to portrait the leaves in different greens. 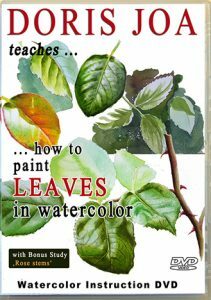 Some green leaves were painted with a mix of Aureolin Yellow and Sap Green, warmer leaves were painted with an underwash of Aureolin Yellow and then adding the next layer a mix of Translucent Orange and Sap Green. In other leaves I added Phthalo Blue to the Sap Green to make the green a bit cooler. 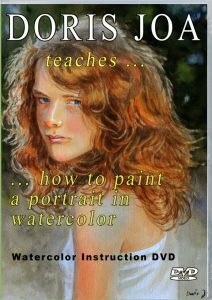 A very nice dark green gives the mix of Translucent Orange and Phthalo Green – I just love this mix. The whites are all the whites of the paper. I did not use any Masking Fluid. I am sure I am having some photos of how the painting was developing. I will search for them and post them in my next post. 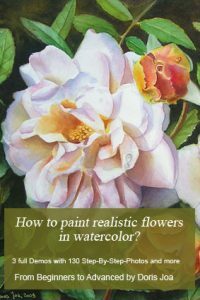 All my watercolor paints using in this rose painting are from Schmincke and all are transparent colours.